Thanks to the internet and cloud technologies, we live in an increasingly connected world. Technologies we see in the consumer products we buy are just part of this growing trend. There’s a plethora of sensors everywhere we look (and don’t look) monitoring almost anything that can be detected or measured. Mobile devices are an ubiquitous part of our lives, both at home and at work. And of course, there’s the Internet of Things (IoT) which tries to create dependencies between all manner of connected devices. In short, a connected world will have an increasing impact on our choices, behavior, and, yes, how we, as engineers design and manufacture products. This brings me to the notion of what is increasingly being referred to as “smart products.” Wikipedia describes smart products as specialized hybrid products having a certain set of characteristics and components, e.g., physical, smart, and connectivity. I tend to think of smart products as devices that interact intelligently with people and with the physical world. They are, in my opinion, the result of what happens when complexity and connectivity intersect with embedded devices and cloud software. It comes down to improving control and empowerment. By control and empowerment, I’m specifically referring to the ability to collect information and converting it into some meaningful output that helps manufacturing companies improve their processes from design to production. This no doubt has a profound impact on product design, engineering, and the product development process. There is an increased complexity related to smart product design. One of the most important aspects of this is the role of electronics and software in production function. Modern smart products are a combination of mechanical, electronic and software components combined into products and available as cloud services. As a result, multi-disciplinary design becomes both an opportunity and a challenge. I’ve said it often, technology is easy, people are hard. When it comes to the management of multidisciplinary data, there are several levels involved. First, it is related to capturing information from multiple disciplines: mechanical, electronic, software, into a multi-disciplinary Bill of Materials. Second, how to insure traceability and the lifecycle of all components. And third, collaboration and communication between engineers working in different disciplines. We are, after all, talking about complex data structures that need to be captured to create a BOM from multiple sources and people. Sources may include different ECAD and MCAD systems, or input from production engineers or supply chain. All of which require the management of these sources and relationships between people, teams, organizations, and even suppliers and contractors. As the title of this post suggests, designing and manufacturing smart products require multi-disciplinary design and data management. A good Bill of Materials tool for your smart product can make what is already hard work much easier and productive. Here are four BOM related things to consider when working on smart products. 1 - MCAD, ECAD and PCB design. Stop and ask yourself this question: how do you capture product information from your CAD tool into your BOM? I’m willing to bet the answer probably has something to do with spreadsheets. Sure, your CAD package will have a BOM management tool. However, it’s highly likely you combine BOM information from multiple CAD systems into a single spreadsheet. Ideally, you need a BOM tool that is capable of integrating with multiple CAD systems. This eliminates manual data entry and the mistakes and omissions that come with it. Ensure your BOM tool automates the capture of data from your favorite CAD system and is not limited to a particular 3D modeling tool. 2 - Integrated Data Management. As previously suggested, capturing complex data structures is par for the course when dealing with multi-disciplinary design tools. Most likely, there will be components and parts as part of these data structures that are interdependent and/or are related in some way. For example, the same PCB designed in ECAD may appear as a subassembly in MCAD. Or two designs may share the same standard part. As previously discussed, smart products by their very nature will involve managing information from multiple sources. A BOM tool capable of managing and tracking data from multiple sources will significantly reduce wasted time tracking changes as the product progresses from design through production. 3 - Multi-Disciplinary Bill of Materials. BOMs consist of three dimensions: disciplines (e.g. mechanical, electronic, electric, software), changes (e.g, ECR and ECO), and data/lifecycle tools (e.g. PDM, PLM, MRP, ERP). Homegrown spreadsheets are the de facto means for managing smart products and any changes from design to production. As such, a BOM tool for smart products should be capable of addressing each of those dimensions. It should have the means to integrate multiple sources of CAD design data, have an ability to monitor and track changes throughout every step of the process, and have a means to at the very least, export all its data to data/lifecycle tools. 4- Collaboration in Distributed Teams. By now, it should be obvious that the design (and ultimate production) of smart products require the engagement of many people and teams. What hasn’t been pointed out is that engineering teams may be spread across different locations. Contractors may be located in different countries. The ability for teams to coordinate and collaborate on a BOM is highly desirable. Moreover, ideally in real-time. With the availability of cloud technology, insist that your BOM tool is capable of helping you stay on the same BOM with everyone on the team. Conclusion. Smart products require a new approach and development environment. People and companies are located across the globe. Your Bill of Materials can become an indispensable tool capable of helping you successfully bring a smart product to market. What’s more, think of your Bill of Materials as your “digital map” for a manufacturing navigation device. It gathers and collects data, reacts in real-time, and helps you make decisions that optimize the outcome of your product development and manufacturing process. Despite technologies increasing at a breathtaking pace, Bill of Materials (BOMs) still face a number of hurdles in the era of digital transformation. Click here to learn more. Oleg Shilovitsky, CEO and co-founder of openBoM is an entrepreneur and blogger. 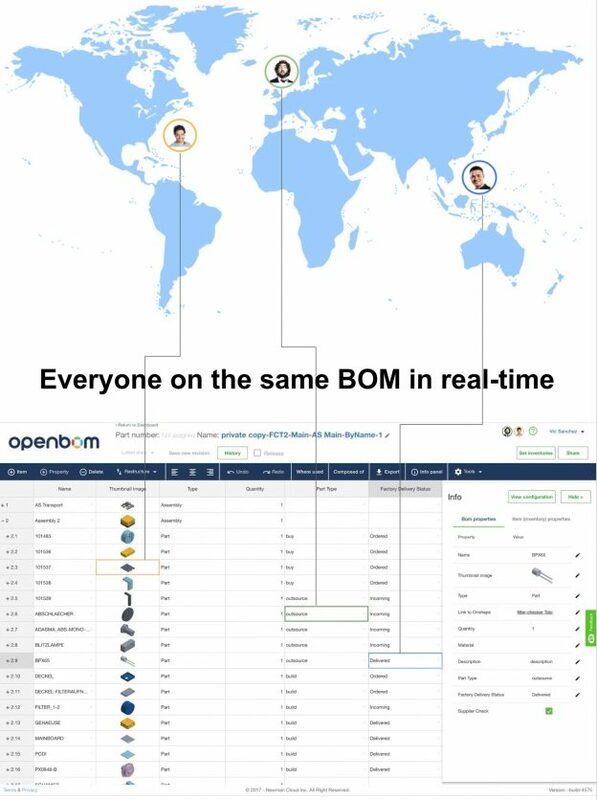 openBoM is re-thinking how manufacturing companies manage data and collaborate in distributed environments. 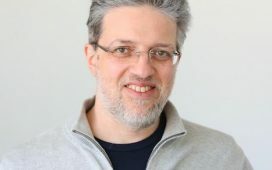 Oleg Shilovitsky has been building PDM / PLM software for over 20 years and worked for Autodesk, Inforbix, Dassault Systemes and SmarTeam. He is a blogger at Beyond PLM, a leading source for information and commentary on engineering and manufacturing software.